The New Jersey Department of Environmental Protection (DEP), Historic Preservation Office and NJ Historic Sites Council hosted the 17th Annual Historic Preservation Awards recognizing the efforts of individuals, organizations and government agencies to preserve the State's valuable resources. 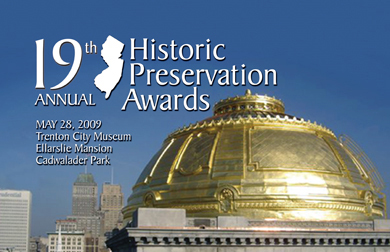 The annual New Jersey Historic Preservation Awards Ceremony was held at the Trenton City Museum, Ellarslie Mansion, Cadwalader Park, Trenton, New Jersey on May 28, 2009. 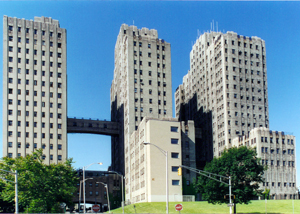 The Jersey City Medical Center, built between 1928 and 1941 as a major public works project, consists of ten major mid-and high-rise Art Deco styled medical buildings. The combination of building heights and prominent site makes the medical center one of the most important visual landmarks in Jersey City. Jersey City Mayor Frank Hague, one of the most powerful mayors in the U.S. in the early 20th century was responsible for the construction of the complex. It symbolized Hague’s interest in quality Medical care for all, as well as the political utility of providing the care. The Medical Center Complex had been essentially vacant for decades. Now known collectively as the Beacon, the complex is a mix of condominiums and rental residences complete with a wide range of amenities. The project is being completed in phases. In 2008, the developer of the Medical Center, New York based Metrovest, finished the first phase, Buildings B & C (two of the ten buildings in the complex). 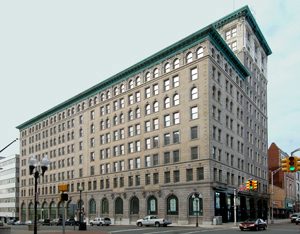 Buildings B & C, The Rialto and the Capitol, have been adaptively reused for apartments/condominiums with amenities such as a billiard hall, a community dining room, a full catering kitchen, and a theater. The cost of rehabilitation of the first two buildings alone was $132, 942,305. The rehabilitation of the complex is the largest Historic Preservation Tax Credit project in the nation. Recognition went to: Baldwin Asset Associates. Urban Renewal Company, LLC; Ismael Leyva Architects; Ulana Zakalak, Zakalak Associates, LLC; Goldstein Associates PLLC; Mary Jablonski, Jablonski Building Conservation Inc.; Johnny Hilares, EverGreene Painting Studios; Viggo Rambusch, Rambusch Studios; Anthony Guglielmo, Metal Man Restoration; LKU Group Inc.; Bohler Engineering, P.C; Metrovest Construction Corporation. The Fire Control Tower No. 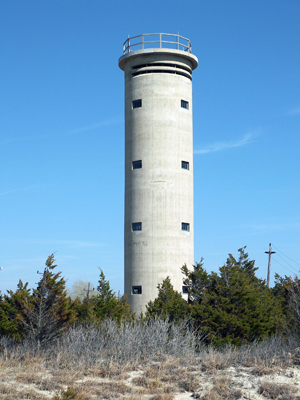 23 was built in 1942 as part of the coastal fortification system intended to protect New Jersey’s shores from enemy invasion during World War II. In the early 20th century, soldiers stationed in Fire Control Tower No. 23 scanned the horizon for enemy ships, and identified the coordinates of any enemy ships that were spotted The last freestanding remnant of the coastal fortification system in the State of New Jersey, it is part of a growing collection of preserved WW II resources in southern New Jersey. Arranging for the preparation of a full Historic Structures Report and National Register nomination of the Fire Control Tower. Restoration was completed and the tower opened to the public March 27, 2009. Recognition went to: B. Michael Zuckerman, Ph. D., Director, Mid- Atlantic Center for the Arts; William Ten Eyck, Chief Operating Officer, Mid- Atlantic Center for the Arts; Elan Zingman-Leith, Curator, Mid- Atlantic Center for the Arts; Robert Russell, HMR Architects; Chris Jensen, M.B. Markland Contracting Company. Recognition went to: Numa Saisselin, Count Basie Theatre; Michael Schnoering, AIA,Farewell Mills Gatsch Architects, LLC; Vincent Farese, PE, Loring Engineers, LLP; Tom Langan, PE, Brinjac Engineers; Scott Watson,The Lighting Practice; Luis Angarita, EverGreene Architectural Arts; Lee Babitt, Gibraltar Construction. The value of the 10 Most Endangered Historic Sites in New Jersey lies in highlighting properties, highlighting preservation, and educating the public about the kinds of resources that are out there. Nominations are made sometimes with encouragement by those who own/manage the properties, sometimes to spur owner to action. The 10 Most list has helped to improve our understanding of what circumstances lend themselves to successful preservation and adaptive reuse of historic properties. Deborah Kelly role in preservation has had a significant impact in New Jersey. She works continuously and has been involved in all facets of historic preservation. As Executive Director of Preservation New Jersey she developed the “10 Most Endangered Historic Sites” list in 1995. This program has grown to become one of the best known programs for Preservation New Jersey. Her enthusiasm, her breadth of experience, the new ideas she has brought to the field of preservation, all have made an enormous difference. Recognition went to: Deborah M. Kelly; Preservation New Jersey. The Jersey City City Hall was designed by Louis Henry Broome and constructed in 1894. The Council Chambers is a double-height space at the center of City Hall, lit by windows to a rear courtyard and rooftop skylight atop a stained glass dome. Over time, original decorative finishes had been removed or covered. Light fixtures were modified, walls had been covered with fabric. 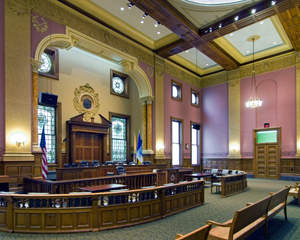 In 2007 the City chose to restore Council Chambers, while adding much needed air conditioning and an improved audio-visual system. A perfect example of achieving goals of updating a space while restoring it. 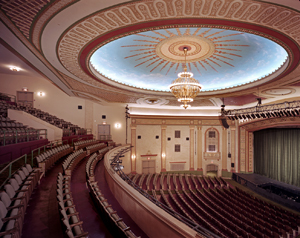 New technology and air conditioning were incorporated, all while restoring the original grandeur of the architecture. Recognition went to: Eric Holtermann, AIA, HMR Architects; Vincent Luongo, President, Luongo Construction Company; Jerramiah T. Healy, Mayor, City of Jersey City, NJ; Mariano Vega, Jr., Council President, City of Jersey City, NJ; Brian O'Reilly, Business Administrator, City of Jersey City, NJ; Glenn A. Wrigley, AIA, Chief Architect, City of Jersey City, NJ;Chris Charas, Project Manager, City of Jersey City, NJ. St. Bernard’s Episcopal Church was designed by Napoleon LeBrun & Sons, (who also designed the Academy of Music and the Basilica of Sts. Peter & Paul in Philadelphia. ), and is an excellent expression of English Gothic ecclesiastical architecture. 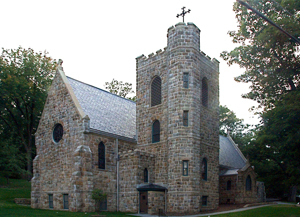 Built in 1897, it is the only documented LeBrun non-secular design in New Jersey. Then, in 2004 – a major fire damaged much of the original historic fabric on the interior and exterior of the church. Luckily, shortly before the fire, the parish had put together a comprehensive preservation consultant team to prepare a preservation plan. And just two days after the fire, the church received a historic site management grant from the NJ Historic Trust. Material analysis of mortar and paint colors; specialized cleaning techniques to deal with carbon, ash, and soot from the fire. Recognition went to: St. Bernard’s Episcopal Church; Historic Building Architects, LLC; Ed Meade, Robert Silman Associates; Ira Guterman, Princeton Engineering Group; Daedalus Projects, Inc.; Jerry Marshall, Marshall/KMK Acoustics, LTD; Art Femenella, Femenella & Assoc., Inc.; Jami Raderman, Schtiller & Plevy; Kathy Jordan, Art of Glass. The Henry Doremus House was constructed c. 1760 with a wood frame addition, c. 1850. It is traditional Dutch stone. The west wing contains a rare, jambless fireplace that is well-preserved. The house was not altered or modernized with dormers or additions, and was never modernized with utilities. This is one of those very rare properties, where it seems you can sense the breath of the original Dutch Settlers. A reminder of how simple buildings were. It is significant for its architecture and original historic fabric. Currently it serves as a museum open to the public, such as school groups, scout groups, community groups, and local heritage tourism events. Recognition and the award for this project are as much about the community involvement as it is about the restoration itself. Montville is a very active and productive Certified Local Government Community. The restoration of the Doremus house is the culmination of 30 years of community effort. The community demonstrated dedication and tenacity in order to complete the restoration of the Henry Doremus House. Acquired by the municipality in 1979, the community worked throughout the 1980’s, to complete minor repairs and mothball the property, and fundraise for its eventual restoration. Restoration efforts began in 1992 with the preparation of an HSR. 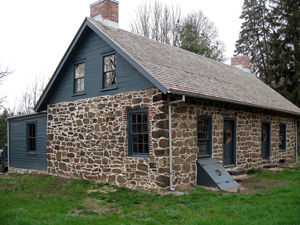 In the early 2000’s, the community successfully secured funding for this project from Morris County and the New Jersey Historic Trust. Restoration involved solution of drainage problems, mortar and paint analysis, masonry restoration, structural upgrades for the framing, and archaeological investigations. Restoration of wood floors and plaster wall finishes. Recognition went to: Kathy Fisher, Chair, Montville Township Historic Preservation Review Commission; Thomas B. Connolly, R.A., Principal Architect, HJGA Consulting, Architecture & Historic Preservation, Inc.; Margaret Hickey, Historic Preservation Specialist, HJGA Consulting, Architecture & Historic Preservation, Inc.; James B. Huffman, P.E., Structural Engineer, HJGA Consulting, Architecture & Historic Preservation, Inc.; William Valentinetti, LGII, Co., Inc.; Hunter Research, Inc. 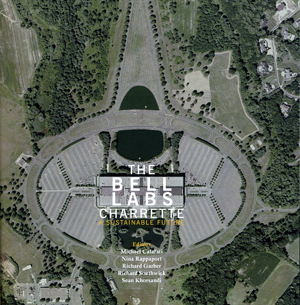 The Completed in 1962 and expanded in the following years, the Bell Laboratories are the pre-eminent NJ example of the Corporate Campus. The Campus was designed in high Modernist style by Eero Saarinen with a landscape by Sasaki Walker and Assoc. Landscape Architects. When Alcatel-Lucent vacated the property in 2007, the property was left in limbo. Most New Jerseyans assumed that there was no alternative to demolition to make way for new development. Then, April 11-13, 2008 thirty-six design professionals and planners convened in Holmdel to participate in a charrette to visit, study, reflect analyze and scheme over the building and its landscape. A publication was then produced to document that effort. The charrette demonstrated that there is no shortage of respectful design innovations that would allow preservation of the building, while rehabiliting it for new uses. Recognition went to: Michael Calafati, AIA; Nina Rappaport, DOCOMOMO US/NY Tri-State Chapter; Richard Garber, AIA;Sean Khorsandi;Richard Southwick, FAIA;Ron Emrich, Preservation New Jersey; Clinton Andrews, Ph.D., Director of Urban Planning and Policy Devlopment, Bloustein School, Rutgers University; American Institute of Architects - New Jersey Chapter;Preservation New Jersey, Inc.;DOCOMOMO US/NY Tri-State Chapter.